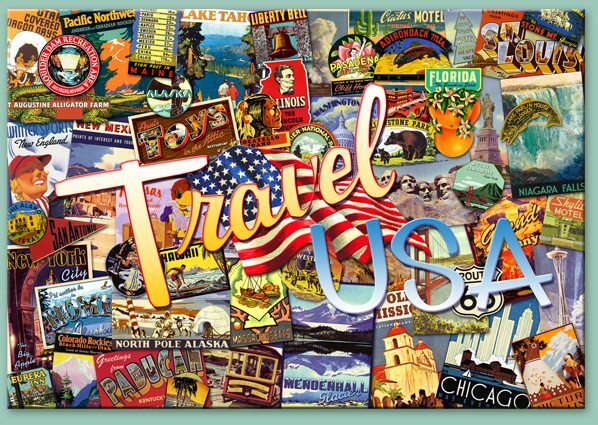 There are a whopping 50 states for you to visit in America, all offering landscapes and experiences bespoke to themselves. In general, travelling to America might not seem like it would be massively complex, however there are many untold situations that you should be aware of. While everyone knows that you’ll need an ESTA visa USA in order to enter the country, did you also know that you should invest in a particular type of lock for your luggage? You’d be surprised at what you need to be aware of, so we’re here to provide you with the ultimate guide. Here’s what you need to know. Visiting America without an ESTA is, quite plainly, impossible. In order to be granted access into the country, you’ll need to fill out an ESTA form online, which is often a fast and simple process. It’s always recommended that you apply for your ESTA several months in advance of your trip, as you never know what complications may occur with your application, so you’ll want to ensure that you have your ESTA when you’re due to depart. The official minimum time period to apply for an ESTA is 72 hours, and once you have one, it will remain valid for 2 years, allowing you to visit many more states! American airports are very strict about what they’ll accept coming into the country, with extensive security systems in place to ensure that there are no threats entering the country. Alongside scanning your body upon arrival, TSA are often subject to inspect your luggage after it’s been checked in. When this occurs, you’ll be presented with a note in your luggage once it’s been returned to alert you, however you can often tell prior to finding it as your lock would have been busted open, leaving your luggage vulnerable throughout the rest of your trip. To protect your belongings, invest in a TSA lock, as this can be opened with a master key and will allow TSA to inspect luggage without needing to bust the lock. Every country has its individual etiquette, however one of America’s most prominent is the fact that tipping is almost expected when utilising a service. While you certainly won’t face any law-related repercussions for not tipping, you might receive a lot of prejudice from others. In America, tipping is expected in 15-20% of restaurants, and if you stay ignorant to this rule, you certainly won’t get pally with the locals. Unlike other countries, tips aren’t just expected in restaurants – additionally, tipping is common in bars, for housekeepers and even for taxi drivers (as if the price wasn’t high enough!). Always double check your bills though, as often a gratuity charge is already included. The price you see isn’t always the price that you pay in America. Whereas other countries will always include additional costs in the final price, America is known to include these separately, and usually the customer is only aware once their cash is in the till’s tray. When shopping in America, always remember that the price tags will not include sales tax. This does vary between the states, however the tax charge typically lies between 4 to 6 per cent. Often, it’ s better to imagine that every item will have a sales tax charge of 10%, as even though this is usually an exaggeration, it will allow you to decipher whether or not you can really afford the item. Travelling to America is always exciting, whether you plan on viewing the Statue of Liberty in person, or whether you want to unleash your inner child and spend some time at the famous Disney World resort in Florida. Regardless of where you’re travelling to, we hope these top tips will guarantee you a safe and successful trip!